^ "Gabriel García Márquez: 'The greatest Colombian who ever lived' | Books". The Guardian. 28 January 2016. Retrieved 18 July 2017. ^ "Cristina Pestaña: ¿Quién tradujo por primera vez La metamorfosis al castellano? -nº 11 Espéculo". 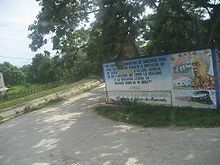 Ucm.es. Retrieved 18 July 2017. ^ "Gabriel García Márquez on Fidel Castro, the Soviet Union, and creating "a government which would make the poor happy."". Jacobinmag.com. Retrieved 18 July 2017. ^ Whitney, Joel (19 April 2014). "Gabriel García Márquez and Fidel Castro: A complex and nuanced comraderie | Al Jazeera America". America.aljazeera.com. Retrieved 18 July 2017. ^ "LA ÚLTIMA EMISIÓN DE QAP - Archivo Digital de Noticias de Colombia y el Mundo desde 1.990". Eltiempo.com. 30 December 1997. Retrieved 18 July 2017. 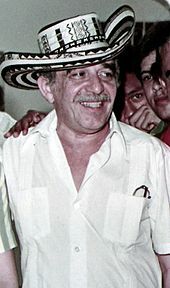 ^ "BBC News – Tributes pour in for Colombian author Gabriel Garcia Marquez". Bbc.com. 18 April 2014. Retrieved 24 April 2014. 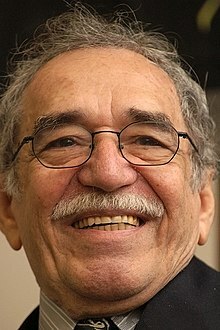 ^ "Literary giant Gabriel García Márquez hospitalized". Edition.cnn.com. Retrieved 18 April 2014. ^ Will Grant. "BBC News – Mexico and Colombia hold Gabriel Garcia Marquez memorials". Bbc.co.uk. Retrieved 24 April 2014. ^ "Gabriel García Márquez Archive Opens for Research on October 21". Hrc.utexas.edu. Retrieved 18 July 2017. García Márquez, Gabriel (1982), "Nobel lecture", in Frängsmyr, Tore; Allen, Sture (eds. ), Nobel Lectures, Literature 1981–1990, Singapore: World Scientific Publishing Co. (published 1993) .